As became apparent again when introducing head brewer Dave Edney and Goat's IPA at the Australian Hotel Meet the Brewer sessions, the Richmond brewery has made a tonne of IPAs. But it's also occurred to us that they've now managed to sneak a fair few saisons out without anyone necessarily associating them with the style like, say, Bridge Road or La Sirene. There have been various "straight" saisons using different yeast strains, others made with various herbs and spices and, best of all, the Ridgy Didge created with Brooklyn. And now there's another. And another that's an international collaboration (of sorts). The story goes thus: "On Goat’s first trip to Japan last year, we were intrigued by the way Japanese brewers used fruit and spices and integrated them into their beers. 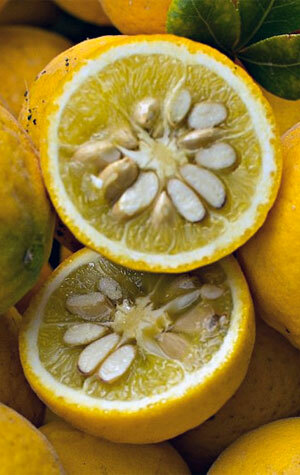 We’d never tried yuzu before; it’s an East Asian citrus fruit with a flavour somewhere between grapefruit and mandarin. It lends a nice citrus tartness to saison. The juice for this beer was personally muled from Japan by none other than Youichi Kuichi of Hitachino Nest Brewery." Now if that doesn't highlight the increasingly collaborative nature of the modern beer world, we don't know what does. The brewers say to look out for the aforementioned citrus characters, some yeasty spices and a tart, dry finish. And for Mr Kiuchi as: "We owe him a pint of this beer!"